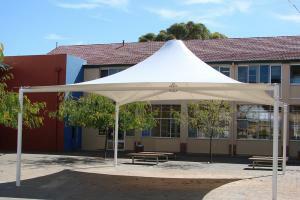 Shade Structures create practical weather protection along with stunning features for outside areas. 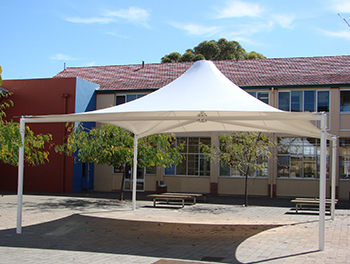 Flexible fixing options allow the Structure to be well integrated with the existing building. 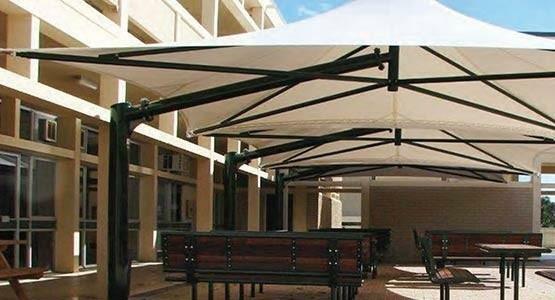 Fabric options include commercial shade-cloth or waterproof PVC. 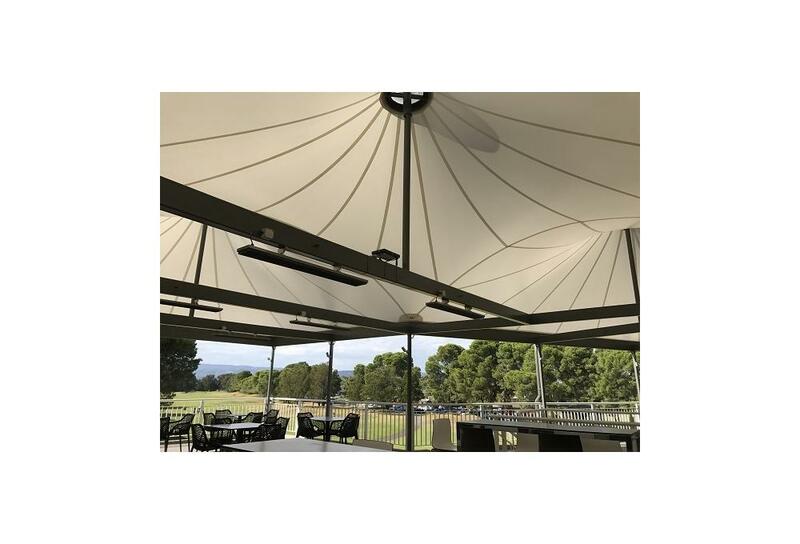 High quality PVC is a superb textile fabric that can be tensioned using stainless steel rigging, generating strong and lightweight Membrane Structures. 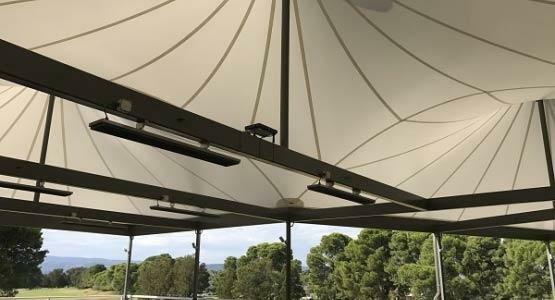 The ability to create parabolic shapes and also span large distances makes Tension Membrane Structures an architect’s dream. Shade-cloth and flexible fabrics can be used to create versatile weather protection for cars and other valuable assets. 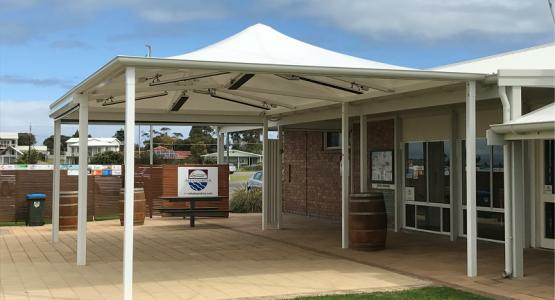 Not your average carport, Sails and Shade Structures are the perfect platform to deliver a wide range of shading solutions. 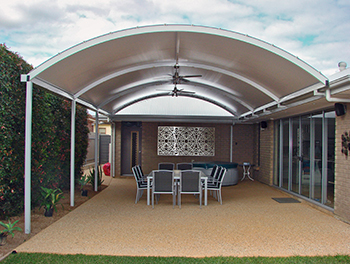 All Structures are custom made including in-house design, manufacturing and installation. Install a Shade Structure or Outdoor Canopy today! 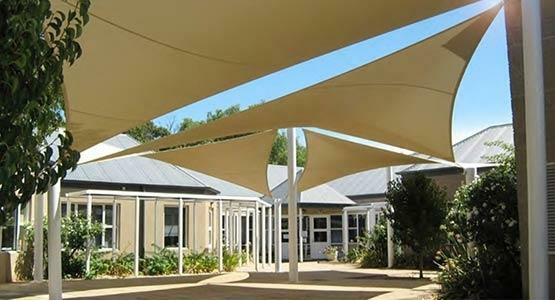 Shade structures and Outdoor Canopies are one of the most robust and long-lasting shades available. 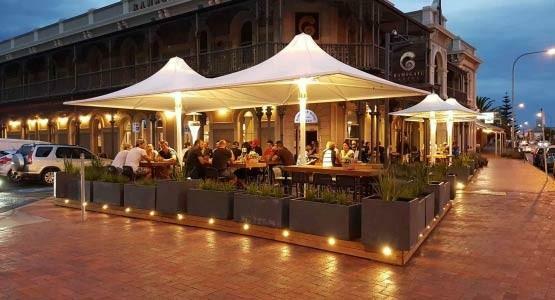 Not to mention they look fantastic as well! 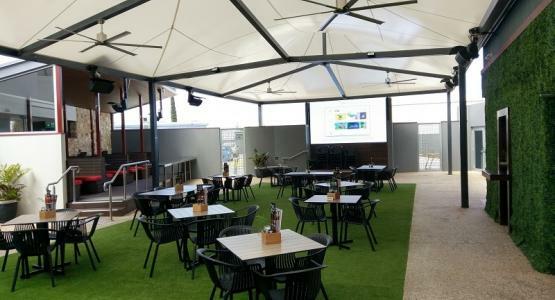 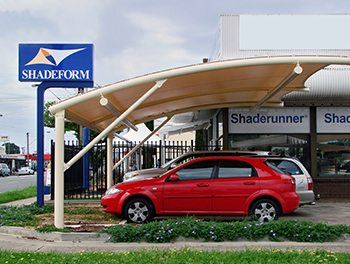 Shadeform design and build a whole range of outdoor shade structures, available for both residential and commercial projects. 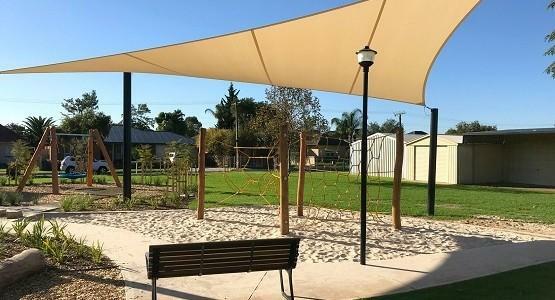 A flexible shadecloth or PVC fabric is used for the shade canopy, and a strong steel frame is used for support. 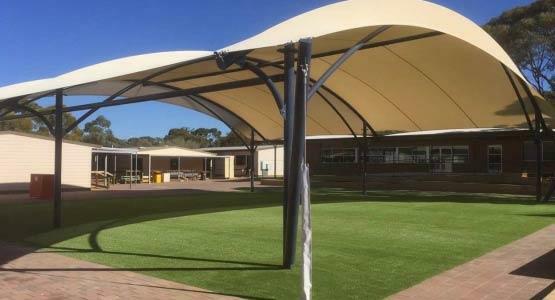 The fabric is pulled tight under tension, providing a strong canopy that doesn’t flap in the wind. 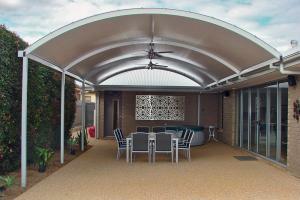 You can use circular or rectangle sections for the frame, and there is a range of powder-coat colours to choose from. 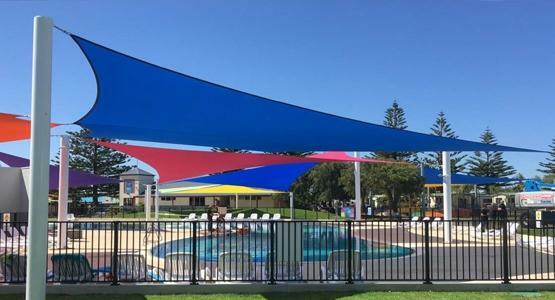 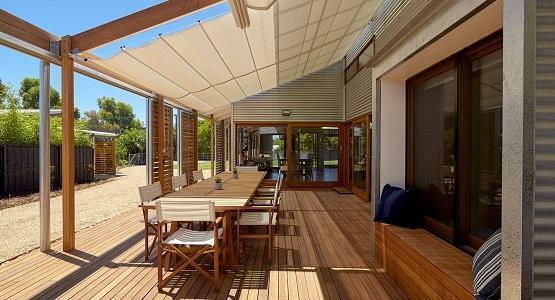 In terms of aesthetics, conventional building products like pergolas and gazebos are no match for a unique custom-made shade canopy. 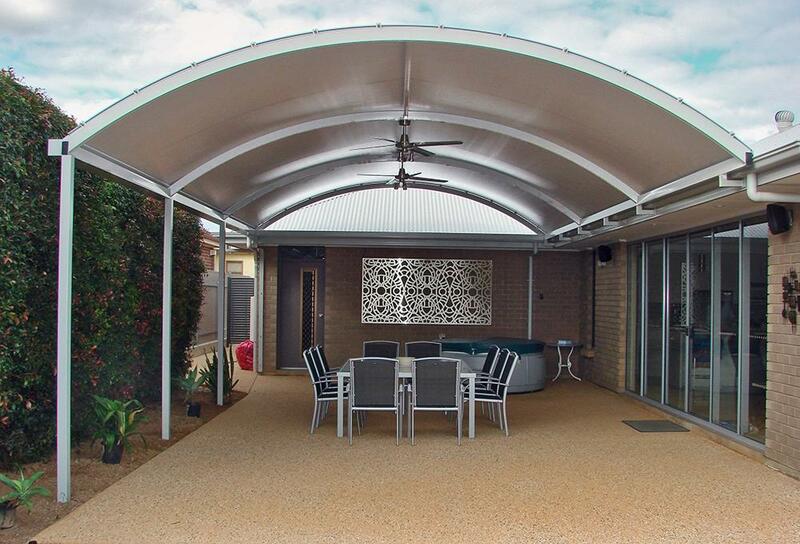 Using a flexible shade covering adds that little bit of style, creating a feature piece that looks fantastic from all angles. 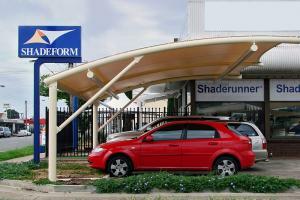 You can also use a fixed shade canopy as a custom car shade. 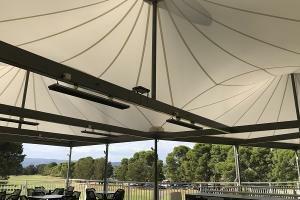 Cantilever also offer great protection for your asset, with minimal support structure.